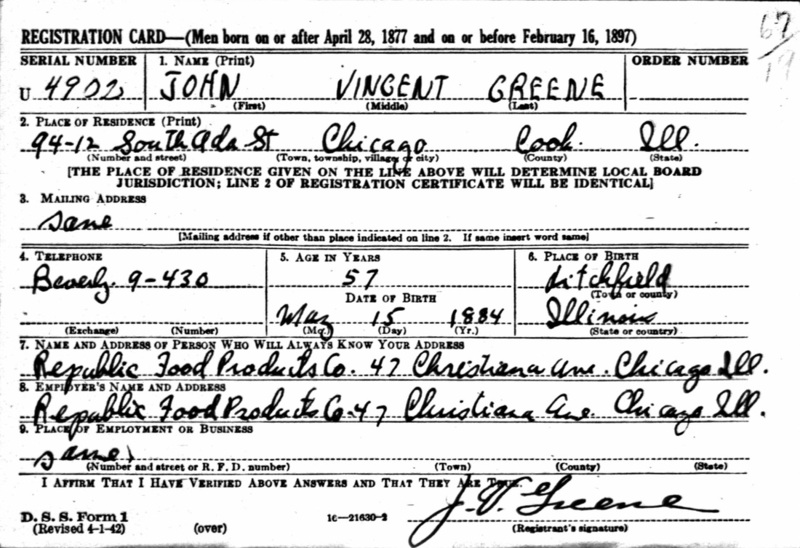 John Vincent Greene Sr. WW2 Reg. Card. Note he was working for Republic Food at the time.